80% of blindness is treatable or preventable. "A winnable battle should never be lost"
As many of you know, when our daughter Violet was first born she was completely blind. She had 'total bilateral congenital cataracts', which means that at birth her lenses, which should have been crystal clear, were completely blocked. Because we live in a fortunate time, place, and economic class she was able to be diagnosed at 10 weeks and had her first surgery a week later before too much irreversible damage had been done. If you know Violet today, she is a bundle of happy energy who's going to live a relatively normal life. Around the world a child becomes blind every minute—80% of this blindness is preventable or treatable. For most of those who are blind the battle for sight is winnable. There are families just like us around the world and right here in America that don't have the medical infrastructure or resources to diagnose, treat, and rehabilitate children just like Violet. 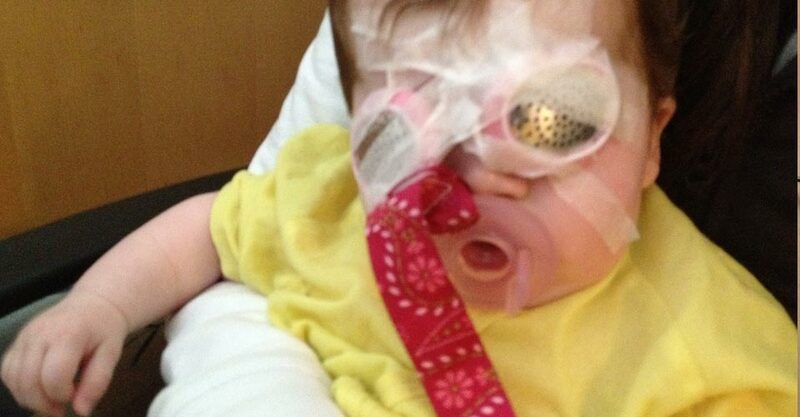 Surgery is scary, but it's probably the best gift a child with sight impairment can be given. I recently resigned from my job and am beginning an exploratory journey to identify the most effective ways to help as many families around the globe fight and win the battle against vision impairment. Over the next month I have meetings lined up with leaders in pediatric ophthalmology, executive directors of established non-profits, and many friends who want to help. Behind the scenes we are prototyping and testing a set of big and bold ideas that could pave the way for a whole new future for many children, their families, and their communities. 1. Sign up for our email list so that we can update you and include you in our early experiments. 3. Our aim is to build a lean fundraising model in which 100% of public donations go directly to diagnosing, treating, and rehabilitating children with sight impairments. We are planning as a family to privately fund the initial costs of starting this up, and we are looking for a hand full of private donors to be able to raise a small operating budget for 2015. If you are interested in supporting this mission from the beginning, please let me know. 4. Be our cheerleader. We're going to need a lot of help to get the word out, we need as many people rooting for us as possible. I want to thank you for reading this, and I want you to know that the scale of problem that we're fighting is huge. Every battle won changes the future for a child, a family, and a community. Let's take this on together!